We started off today with cereal, toast, and jam at our AirBnB. We then went to a coffee shop called Beanhive to start the day. 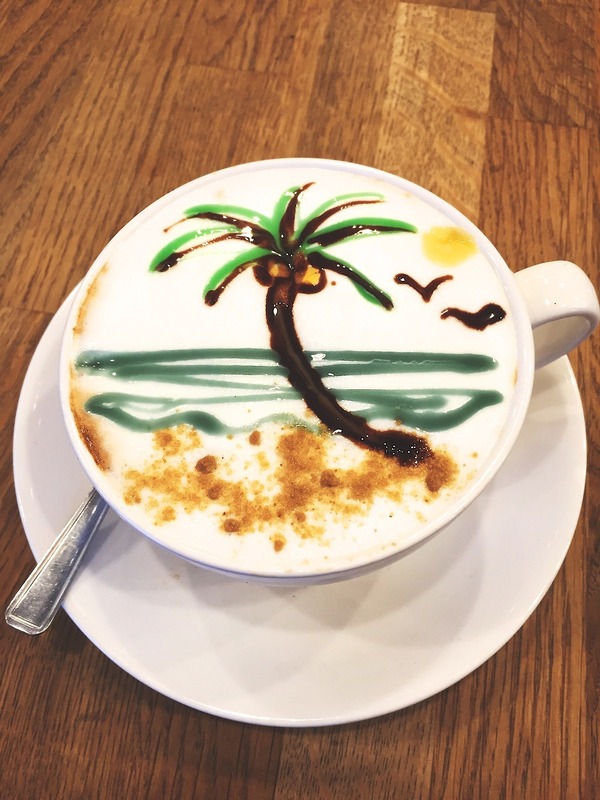 They are famous for their drawings that they make on top of the lattes and their traditional Irish breakfast. 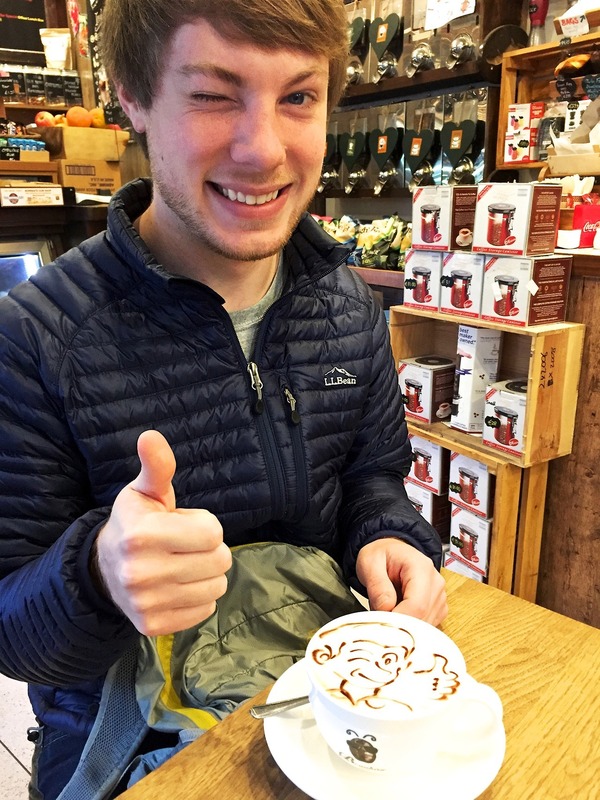 We just got coffee, and the drawings on our drinks were really great. 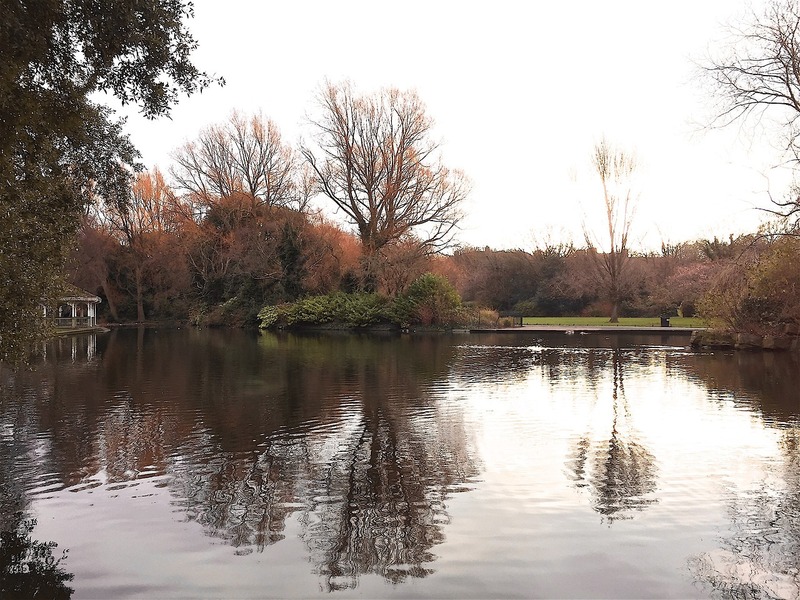 We then walked across the street to a public park called Saint Stephen’s Green, which was really pretty and green even in the winter. We took the bus to St. Patrick’s Cathedral, and got there just in time for a free tour. 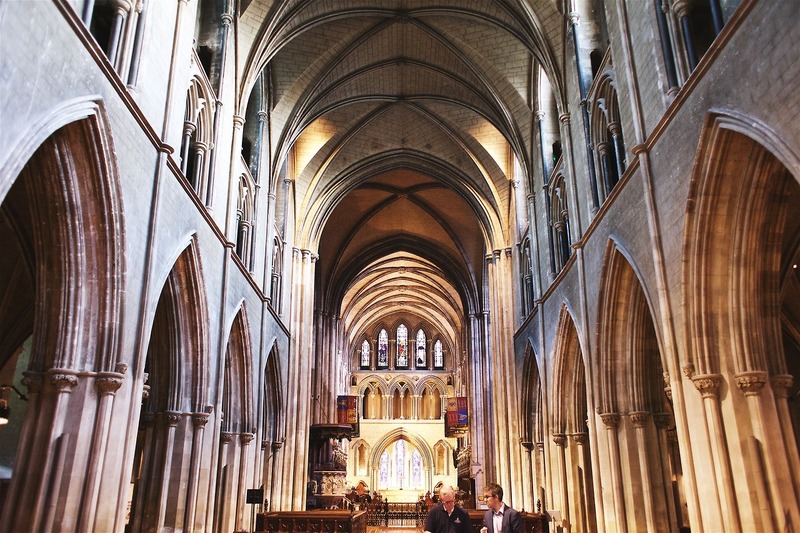 This church is the tallest and largest in Ireland and has been designated as the national cathedral of Ireland. 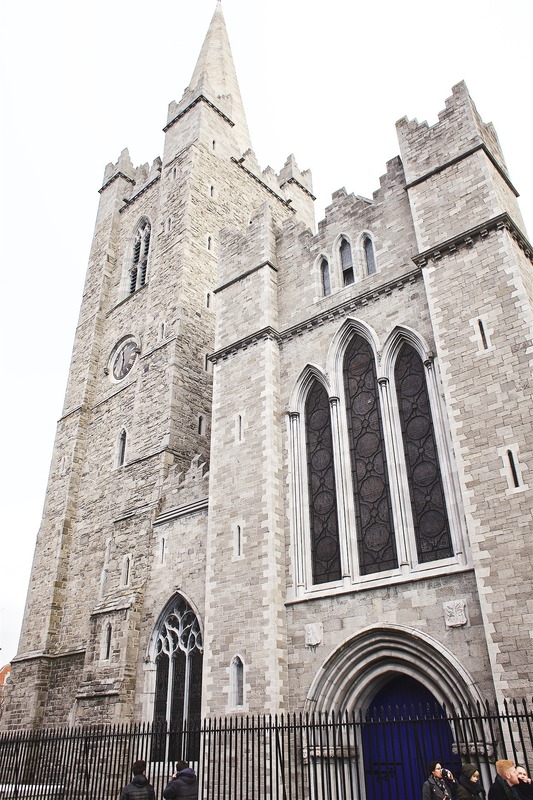 We learned about the history of the church and how the Guinness family has played a huge part in the restoration of the church, which is ongoing. 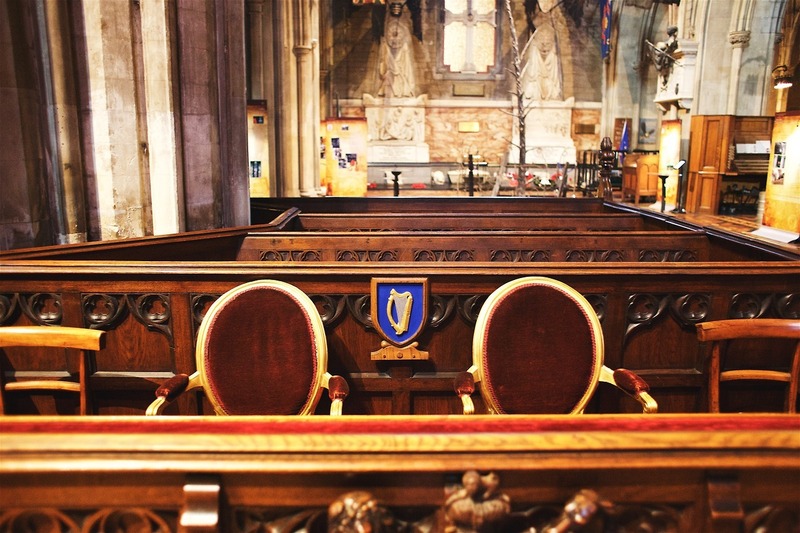 There is a special place in the pews for any Guinness family member that visits the church. Jonathan swift and his lover are buried in the church in an interesting way, standing up, so all you can see is a small plaque on the floor. 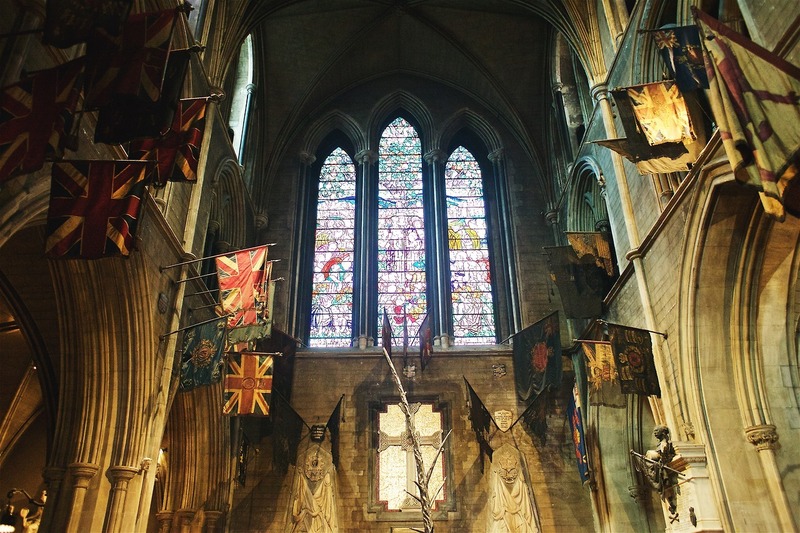 Flags from previous battles hang in the church, where they slowly decompose out of honor. 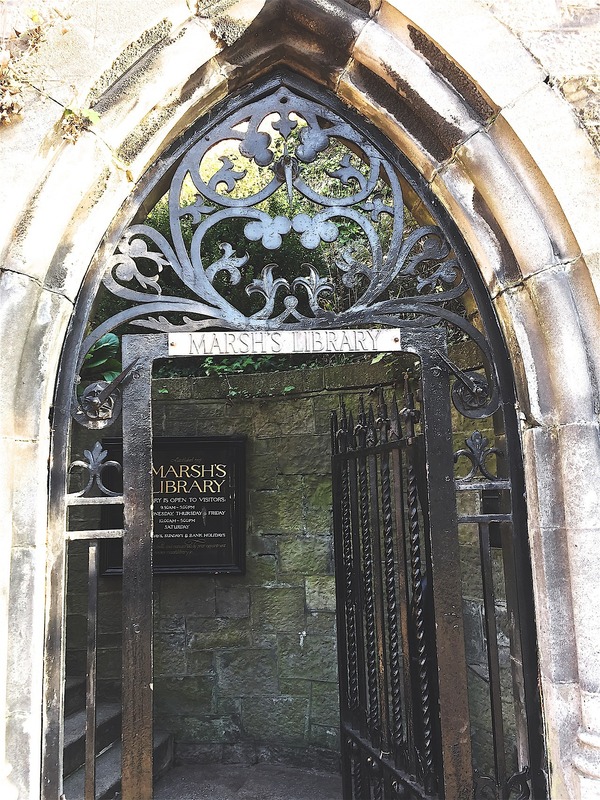 We took in all of the history and artwork, and then walked next door to Marsh’s Library. Opened in 1707, it was the first public library in Ireland and holds over 25,000 books. We weren’t allowed to take pictures here, but it was still cool to walk around in. We then went to the Dublin Castle, which has the only standing tower in Dublin. The walls of the tower are 15 feet thick and only one person has ever escaped the tower, and he went through the sewers. 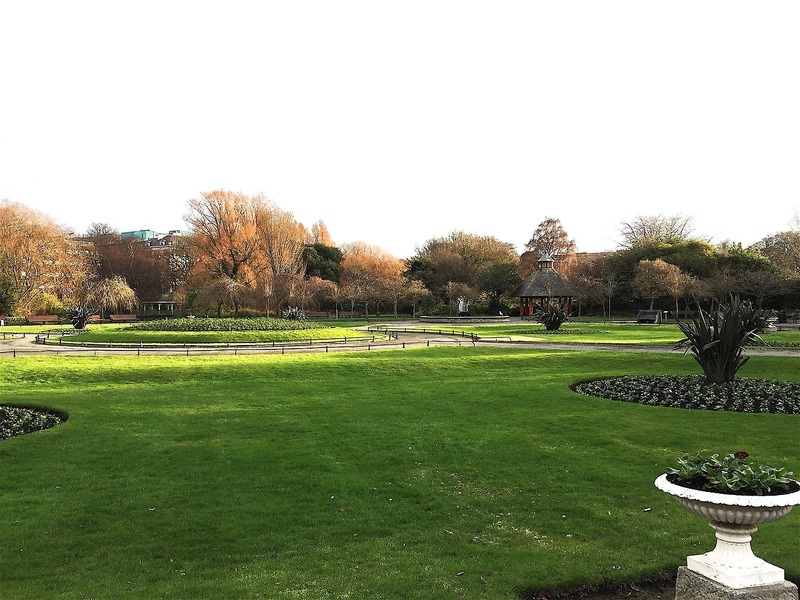 We walked through the Chester Beatty Library, which is more of a museum of books, and we looked at manuscripts, maps, and drawings from different countries. We walked to lunch at Lotts Cafe, and this restaurant also resembled and Irish pub. Cole got a steak sandwich, and I got beer battered fish and chips. 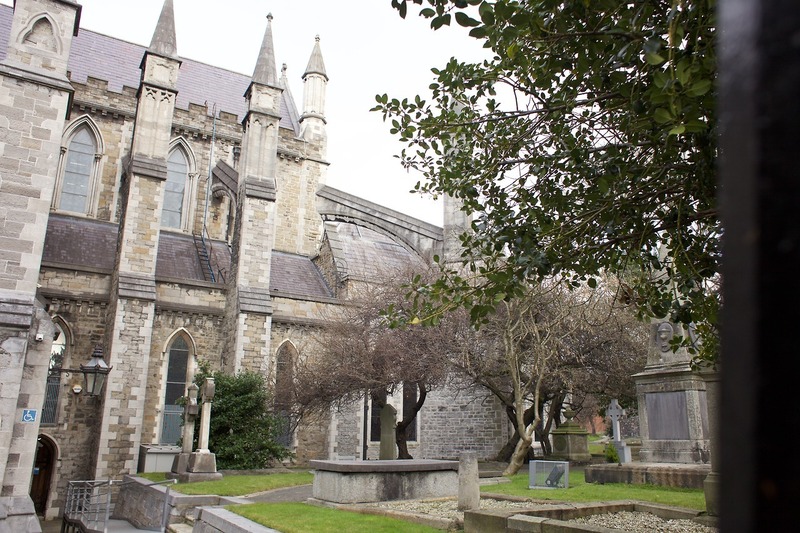 After lunch, we had a tour planned at Glasnevin Cemetery, which is a few minutes outside of the center of Dublin. This was another one of our favorite tours on the trip, especially because we had to best guide named Paddy. Many of the leaders of the Rebellion of 1798 are buried here, or they have memorial graves here, so it was really neat to see the connections between the cemetery and Kilmainham Gaol, the prison that we toured yesterday. We watched a reenactment of a famous speech of the rebellion, saw the grave of the man who invented plastic surgery, and touched O’Connell’s lucky grave. We learned a lot on this tour too, and it made us appreciate Irish history even more than we did yesterday. We made our way back to the center of the city and stopped by a shopping center called Powerscourt Square, which we found was actually a huge house that was transformed into a mall. They had a small food court and three levels of shops to browse through. There were stores with wedding dresses, jewelry, antiques, and lots more. After walking through there for a while, we went back to the room to relax before dinner. This was our last dinner in Europe. We decided to bring it full circle and eat at the same place we went our first night in Europe when we were stranded in Dublin. The restaurant is called Fagan’s and it was close to where we were staying. I got pasta with chorizo, chicken, and arugula and Cole got fish and chips. We also couldn’t help but get a Guinness and a strawberry lime cider. We went back to the room and packed for our flight back to the states the next day.